t’s time for some Easter learning fun! If you’re looking for something with chicks, bunnies and eggs to help your kids learn their ABC’s, numbers, color recognition and other skills these file folder games are just what you need (I hope 🙂 ). At the moment there are 5 fun activity games available and some of them can be easily be used as worksheets or be printed as memory games. This pack contains two different games – one with just colored baskets and one with numbers. Kids will be working with 8 different colors – red, orange, yellow, green, blue, pink, violet and grey and the goal is to put eggs into the right colored basket. The game with numbers adds a bit challenge as kids are required to match the color as well as put a specific number of eggs in the basket. 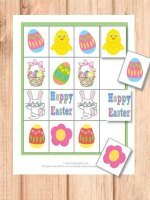 Grab these color and counting with egg baskets Easter File Folder Games here. Patterns! What comes next is a great file folder game as it will help kids recognize simple patterns (1,2,1,2 and 1,1,2,2) by placing the correct image in the empty spot. I honestly think this is one of the more important games for kids as I’ve met so many adults who really struggle with recognizing patterns (not the super difficult ones). It’s a great brain teaser. Plus this file folder game also doubles up as a memory game. Grab these What comes next? patterns file folder games here. 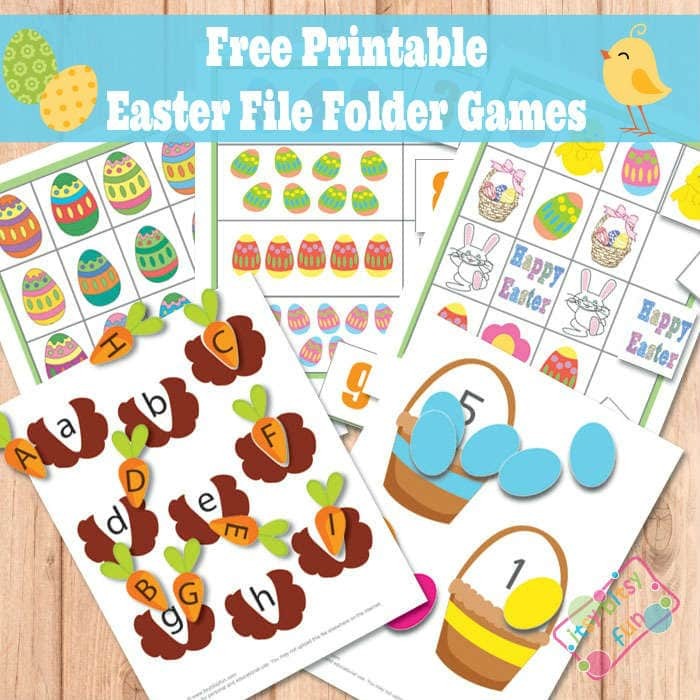 This one is my favorite file folder game from this Easter pack and I’m sure kids will love it! It’s all about planting the carrots by matching the upper case letters on the carrots with lower case letters in the ground. 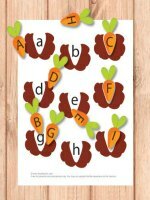 Grab these alphabet fun with carrots Easter File Folder Games here. 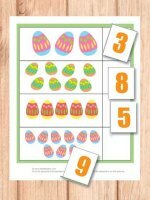 This one will help the kids learn their numbers by counting Easter eggs! 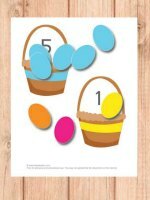 Grab these counting Easter eggs Easter File Folder Games here. 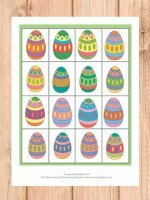 This one is all about matching the eggs – there’s one sheet (print it two times and cut one to tiles) that has 16 different eggs. Each has a unique color combination and kids have to match them. Grab these matching the eggs Easter File Folder Games here.